By comparison, Dean Martin and Jerry Lewis as a team were featured in 16 movies (17 if you count their cameos in the Bob Hope and Bing Crosby movie Road to Bali). 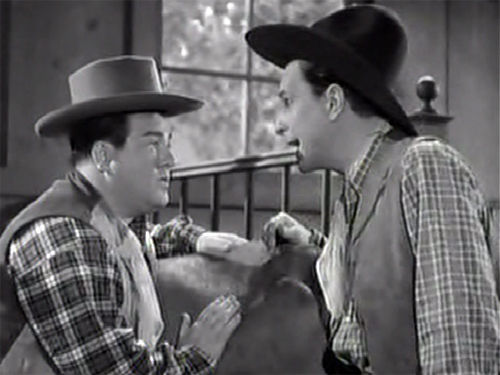 Mr. Hope and Mr. Crosby similarly appeared together in 17 movies, but only 7 of those movies featured both actors. Their remaining 10 collaborations merely included one and/or the other (mostly Bing Crosby) in a cameo appearance. 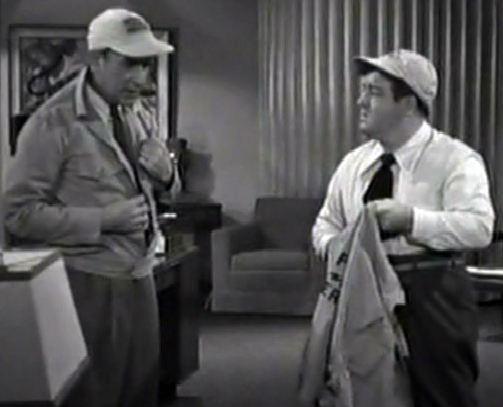 There is, of course, San Francisco where the movie begins and Skagway, Alaska, where Abbott & Costello go with “Nugget Joe” (Tom Ewell). And there’s Mukaluk Village (not sure I’m spelling MukaLuk correctly–I suspect the spelling, but not the pronunciation, is a variation on the term Mukluk, the traditional boots for walking around in the frozen north).